Paper Size: 3" x 3"
We offer to our clients superior quality Cube Pads. Due to high quality and durability these Cube Pads are famous among its user. These Cube Pads are available in market at most economical rates. 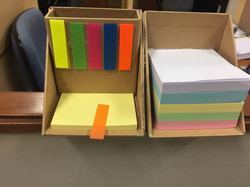 The cube pads we make are usually plain paper pads with different colors/white are used in offices, corporates and business houses for writing down short instructions, notes. 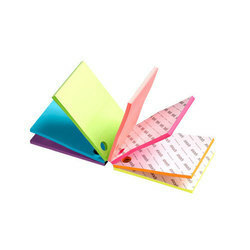 These pads come in single colors or multicolor paper to enable you to choose the one you like. We are one of the leading firms engaged in manufacturing and supplying Gummed Cube Pad. These cube pads are made using high grade paper and other material sourced from reliable vendors. Our wide range of cube pads is widely demanded to be used in conferences, offices, meetings, schools and other institutions. These are available in the market at affordable prices for our esteemed clients.